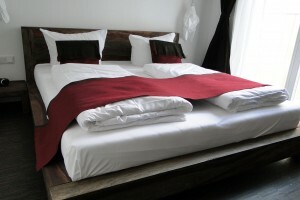 Opened in July 2012, the Almodóvar is quite a pioneer when it comes to eco-friendly hotels in Berlin. 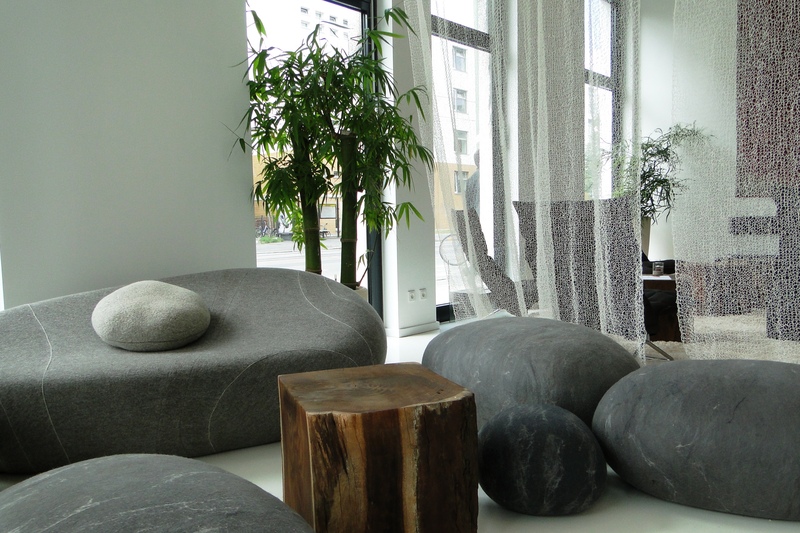 Nestled between two organic supermarkets in the hip district of Friedrichshain, it offers an eco-friendly, vegetarian alternative to random hotel chains. Even though the lobby features rock shaped sofas and dark wooden coffee tables, eco-clichés are largely missing in the Almodóvar. Instead you get a sense of minimalizm, white is the dominating color – the walls. In fact, it is worthwhile to ask the staff for a little tour to discover the various hidden eco-features of the stylish interior. Furniture, decoration and accessories have been sourced from all over the world, including paper curtains from Finland, wooden beds from India and coke-can-made-diner-benches from South Africa. In the rooms, minimalizm continues, but there is a great attention to eco-friendly details. Organic towels and linens, eco-amenities, of course no platics water bottles. And yes, there is a yoga mat. The adjoining bistro bardot features strictly organic, vegetarian breakfast, lunch and dinner including out-door seating. 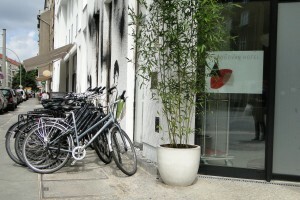 If you plan to discover Berlin the German way – by bike – just rent one at the front desk.